What are God’s gifts to us? God gives each individual certain gifts. Many of these gifts are skills or even desires that we, as humans, possess… and they are meant to be used. One person may have the gift of planning, another of mathematics, and yet another may be gifted in the arts… and the list goes on… Yet, every person’s gifts are unique because God gives them each their own individual flavor… and they are irrevocable! What these gifts and subsequent skills mean for us are vast, but one thing we need to know for certain is that we EACH have a unique calling on our lives, along with the skills and gifts to fulfill that call. We’re born with special desires, dreams, and callings—it takes practice and patience to reach our full potential and realize which dreams are of God, and which are of our flesh, but in the end, the beauty of His gifts eventually shine through! Even in the darkness God can use our gifts! Like a certain mime artist who rescued countless children by not only keeping them quiet with his gift as he led them to safety, but even by convincing enemy soldiers via mime, that there was a threat elsewhere—leading the soldiers away from the children. Or, like a businessman who used his gifts and connections to craft counterfeit papers, give jobs, and even food to innocent and unqualified Jewish workers, some disabled, some children, some elderly, but all at high-risk of being shot or sent to the gas chambers—he protected them to the end of the war. Yet, not all who used their gifts could or did so to save lives, or in such extraordinary ways… however, their gifts were still used by God to impact many. Julius Levin was one such person. Julius Levin—commonly called Julo by those who knew him—was born on September 5, 1901 in Stettin, Germany. His Jewish family had hoped that he would become a businessman, thereby having a successful and stable life… but he loved art. It was his gift from God. By the age of 6, Julo had managed to collect over 3,000 pictures of various subject matter. He was enraptured by the call God placed on his life and chose to go to art school despite his family’s disappointment. He graduated from Art School in 1926. While his rise to commissioned work took until 1931, he was a very successful artist! Yet, in 1933, when the Nazi party began to restrict art, Julo found himself in a difficult position. Because he refused to support the Nazi cause he was labeled a ‘degenerate’ artist and was arrested. Upon his release he, like so many others, was disallowed to show his art in public. Yet, despite the restrictions, Julo found a way for his gift to be used. In Berlin, in 1936, Julo began teaching art to Jewish students. His work was still well regarded—though now largely in the Jewish community—but he was now passing on his gift! But, this too was not to last. In 1941 all Jewish schools were closed and Julo was forced to work as a handyman by the Nazis. Working at a train yard, he continually saw trains stuffed full of Jews leaving only to return not only empty, but filthy—covered in excrement, sweat, and blood. Julo knew something terrible was going on, but had no way out of Berlin. Knowing time was short, on New Year’s Eve of 1942, he did the only thing he knew how; he used his gift of art to capture what he’d seen in a woodcut and sent it to a friend where it could remain safely tucked away from Nazi eyes. “The blood soaks the wood. as it leaves the train yard. 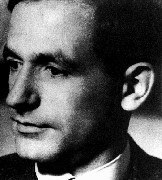 Not long after, sadly, on May 17th of 1943, Julius (Julo) Levin was arrested and sent to Auschwitz where he met his end. Thankfully much of his artwork and teaching survived—not only his works, but those of his students, whose lives he’d touched by sharing God’s gifts. Weren’t Julo’s gifts wasted? What can we learn? Julius (Julo) Levin’s gifts were not wasted. He not only used his gifts by engaging in and teaching the art he loved during a difficult time… but he also used them to send future generations a message. A message to never forget! To never forget the callings God places on our lives. To never forget to share the truth. To never forget to continue no matter the trials or dangers. And to never forget the Holocaust—the thousands of Jews he saw for a moment, then never again. Today, the number of Holocaust survivors is sadly dwindling, as is the number of people who even remember the Holocaust and its victims! While we all have unique gifts and callings, one calling that is the same for every Believer of God is that we’re to shine the light of the Father to the world—to share His love. One way we can share the Father’s love is through the remembrance of His people—those lost in the Holocaust, and those still living. By sponsoring a tree in Israel through My Olive Tree’s ‘Holocaust Victim’s Legacy Package,’ you not only remember a victim of the Holocaust but also give a warm blanket to a living Holocaust survivor. By doing this you show them that YOU have not forgotten them. YOU still remember and care. Additionally, through your sponsorship, you are giving jobs and beauty to the people of Israel for generations to come! You are showing the Father’s love—giving a gift in thanks of the many gifts God has given you!